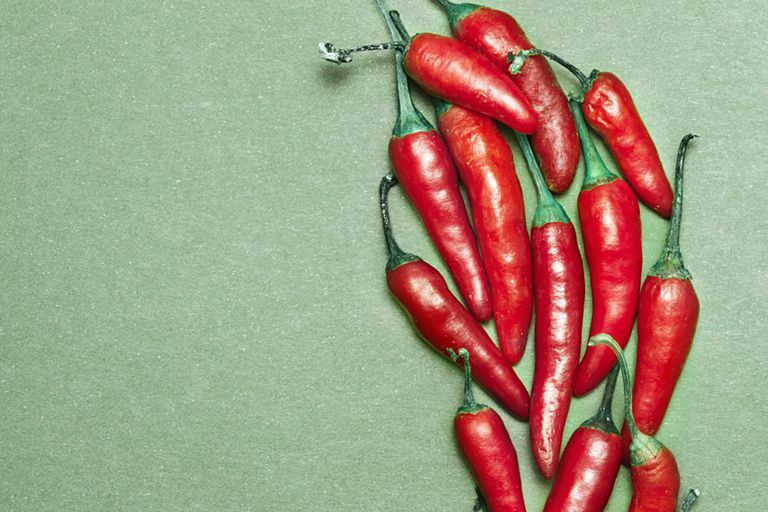 Can Capsaicin Cream Ease Your Pain? Why Do People Use Capsaicin Cream? When applied to the skin, capsaicin appears to cause local desensitization after a period of initial irritation. The report revealed that a small number of participants who had the patch reported that they were "much" or "very much" improved after using the capsaicin patch. A previous review concluded that the data on low-concentration capsaicin patches (containing less than 1 percent capsaicin) was insufficient to make any treatment recommendations and suggested that it was not effective. A high concentration (8 percent) capsaicin patch is approved by the U.S. Food and Drug Administration (FDA) for the management of postherpetic neuralgia pain. Due to the initial pain and burning sensation, the patch is applied under local anesthetic by a medical professional in a clinic or hospital setting. Osteoarthritis Pain: In a report published in Osteoarthritis and Cartilage in 2014, medical experts evaluated evidence on the use of drug and non-drug treatments for osteoarthritis to provide guidelines for the management of knee osteoarthritis pain. In the report, capsaicin was deemed appropriate for people with osteoarthritis of the knee (rather than multi-joint osteoarthritis) who do not have other relevant health conditions. Lower Back Pain: For a report published in Spine in 2016, researchers sized up previously published trials evaluating the effectiveness of herbal therapies (including capsaicin cream or a plaster) in people with low back pain, and found that capsaicin reduces pain more than a placebo. The authors noted, however, that additional trials are needed to compare the therapies to standard treatment. Other Conditions: Topical capsaicin is also being explored for itching, cannabis hyperemesis syndrome (a condition that can result from prolonged cannabis use), pelvic pain, burning mouth syndrome, and as a second-line treatment for vulvodynia. Studies have reported local adverse skin reactions (such as a burning sensation, pain, itching, and skin redness) in the early period of treatment that typically subsides after one to two weeks of treatment. The high-concentration patch may cause pain, inflammation, coughing, swelling, redness, and skin blisters, with pain increasing in the first two days (often requiring pain medication) and then slowly decreasing. Transient high blood pressure has been noted, particularly with high concentration capsaicin. The risk is considered greater in people with a pre-existing cardiovascular disease. People with HIV-neuropathy have reported diarrhea, weight loss, and throat infections after the use of the high-concentration patch. The safety of long-term, repeated applications of high concentration capsaicin isn't known. If you are pregnant or breastfeeding, speak with your doctor. With the high-concentration patch, the burning sensation and pain are sometimes described as feeling like a "bad sunburn." Allergic cross-reactions can occur in people who are allergic to other members of the Solanaceae plant family (such as eggplant, tomatoes, white potatoes, and paprika). When applying capsaicin cream, avoid contact with eyes and mucous membranes, and wash hands thoroughly afterward. Although people sometimes use gloves when applying capsaicin cream at home, capsaicin can diffuse through latex gloves. Capsaicin shouldn't be applied on open wounds or broken skin. Care should be taken to avoid contact of the cream with others, particularly with children and pets. If you apply capsaicin cream to your feet, they should be covered to avoid contaminating the floor (and spreading the capsaicin). Cool, dry packs wrapped in cloth are said to alleviate the burning sensation that occurs after application. They are applied only for brief periods to avoid injuring the skin. While not everyone responds to capsaicin cream, it may help some people manage pain in conjunction with standard treatment. The cream does require regular applications and has side effects. Higher-concentration patches are applied in a medical setting. While the higher-concentration patch doesn't require repeated daily applications, it can cause significant burning and pain in the initial days after it is applied. If you're considering trying capsaicin cream or any other form of topical capsaicin, speak to your healthcare provider to see whether it's appropriate for you and to find out what to expect at the recommended dose. Derry S, Moore RA. Topical capsaicin (low concentration) for chronic neuropathic pain in adults. Cochrane Database Syst Rev. 2012 Sep 12;(9):CD010111. Derry S, Rice AS, Cole P, Tan T, Moore RA. Topical capsaicin (high concentration) for chronic neuropathic pain in adults. Cochrane Database Syst Rev. 2017 Jan 13;1:CD007393. Gagnier JJ, Oltean H, van Tulder MW, Berman BM, Bombardier C, Robbins CB. Herbal Medicine for Low Back Pain: A Cochrane Review. Spine (Phila Pa 1976). 2016 Jan;41(2):116-33.